We are the leading Supplier and Manufacturer of Alloy Steel Reducers such as Alloy Reducers, Alloy Concentric Reducers and Alloy Eccentric Reducer from Mumbai. 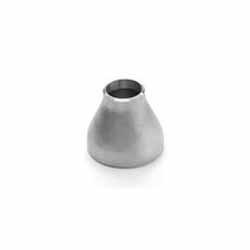 We have capacity to fabricate Alloy Reducers for different industrial applications. Made of excellent quality alloy steel, we can fabricate reducers in numerous specifications as per the requirements of our clients. All these Alloy Reducers are also widely demanded in the market and are also durable as well as easy to install. 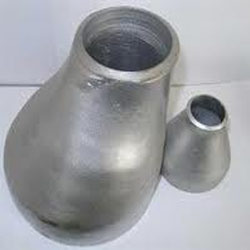 These reducers being durable and rust proof are widely in market demand. We are offering an extensive range of Alloy Concentric Reducers which is available in different forms one is concentric these concentric reducers find application in sugar mills & distilleries, pumps & petrochemicals, cement & construction industries, and steel plants. Further these reducers have inlet and outlet ends and align to a common center line. These products are highly recommended for superior quality, high performance and durability. Alloy steel concentric reducers provide an in-line conical transition between pressurized pipes of differing diameters. 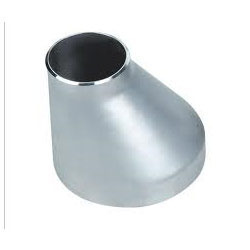 We are engaged in manufacturing and supplying Alloy Eccentric Reducer. These are available in different specifications as per the needs of the clients. These Eccentric Reducers find application in sugar mills & distilleries, cement & construction industries, pumps & petrochemicals, and steel plants. Looking for Alloy Steel Reducers ?